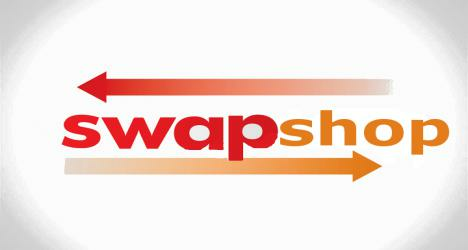 Georgetown County offers a construction and demolition debris "swap shop" the first and third Wednesday of each month. Call (843) 545-3443 for more information. The Recycling and Collections division functions as a component of Georgetown County Environmental Services, providing citizens with a convenient means of recycling and solid waste disposal. The Recycling and Collections division has 14 manned convenience centers throughout the county. Each center provides containers for recycling of newspaper, plastic, cardboard, yard waste, bulk waste, waste tires, used oil, glass, scrap metal, aluminum, steel cans, cooking oil and batteries. These facilities collect approximately 14,000 tons of recyclables per year. The county also has an Environmental Education Center and Nature Center located at its landfill. These are avenues for community outreach, offering opportunities for residents, students and organizations within the county to learn about environmental issues, department programs and local wildlife. Georgetown County’s Electronic Waste Centralized Collection Facility is located at the Landfill on Highway 51. Hours of operation are 7:30 a.m. - 5 p.m. Monday through Friday and 8:00 a. m. - 4 p.m. on Saturdays. Materials accepted include: Computers, VCRs, radios, copiers, scanners, printers, mobile phones, cable boxes, monitors and televisions. Electronic Waste is also accepted at the Murrells Inlet, Pawleys Island, Johnson Road, Andrews and Pleasant Hill convenience centers during normal operating hours. Georgetown County’s Household Hazardous Waste Facility is located at the Landfill Convenience Center on Highway 51. The hours of operation are 7:30 a.m. - 5 p.m. Monday through Friday and 8 a.m. - 4 p.m. on Saturdays. Materials accepted include: Paint products, cleaning products, lawn and garden care materials (pesticides, fertilizers, etc. ), automotive products and other miscellaneous products. Materials NOT accepted include: radioactive material, bio-hazardous or medical waste, explosives, ammunition, propane cylinders larger than 16.4 oz. and asbestos. Georgetown County offers a free paper, and cardboard recycling program for businesses. The program provides businesses in the County with recycling containers that are picked up via recycling truck route weekly. To enroll, fill out the application form linked below. You may email the form to James Coley, fax to (843) 545.3483, or mail application to: Georgetown County, Department of Public Services, Division of Environmental Services, P.O. Drawer 421270, Georgetown, S.C. 29440. Georgetown County offers a construction and demolition debris "swap shop." Call (843) 545-3443 for more information. Q: Where are the convenience centers located? When are the centers open? A: A map of all convenience center locations, along with hours of operation, is provided on our website. Q: Does Georgetown County accept electronic waste? A: Yes. Only residential electronic waste is accepted, one unit per household per day. For more information, see the Electronic Waste section above. Q: Does Georgetown County accept paint? A: Yes. Only residential paint waste is accepted. It can be brought to the Household Hazardous Waste Facility located at the Landfill Convenience Center. Q: How should I prepare my yard waste? A: Yard waste in plastic bags is banned from the convenience centers and the landfill. Kraft paper bags may be used. Call the landfill office for more information, (843) 545-3443. Q: Can milk jugs and milk cartons be recycled? A: Yes. Georgetown County will accept both at our convenience centers. Milk Cartons should be placed in the cardboard containers, while milk jugs should be placed with the plastic. Q: How should I prepare recyclables? A: Plastic, glass and metal cans should be rinsed. Cardboard boxes should be broken down so they are flat. Discard caps for glass containers before recycling. Q: Where should I dispose of oil/gas mixtures from my boat or small equipment? A: The Pawleys Island Convenience Center, Pleasant Hill Convenience Center and Landfill Convenience Center accept oil/gas mixtures. Q: Can I tour the Environmental Services facility? A: Yes! The public is welcome to tour the facility. To schedule a tour, call (843) 545-3443. Q: Is recycling mandatory in Georgetown County? A: No. However, recycling is strongly encouraged, and we try to make it as easy and convenient as possible. The Pleasant Hill Convenience Center has a large used farm oil container. Cooking oil is accepted at all centers (see attendant). Bring cooking oil in a disposable container and we'll take care of the rest.